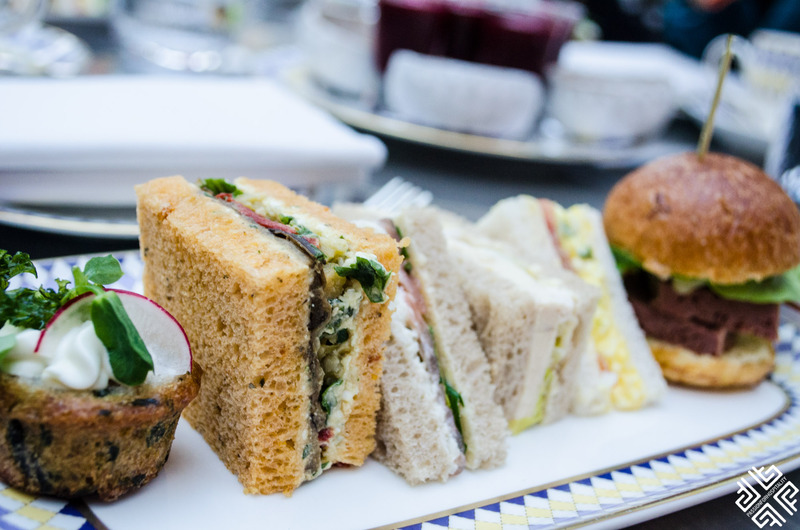 When in London, there is one English custom that absolutely shouldn’t be missed and that is afternoon tea! It is very classic, elegant and considered to be a fashionable social event. 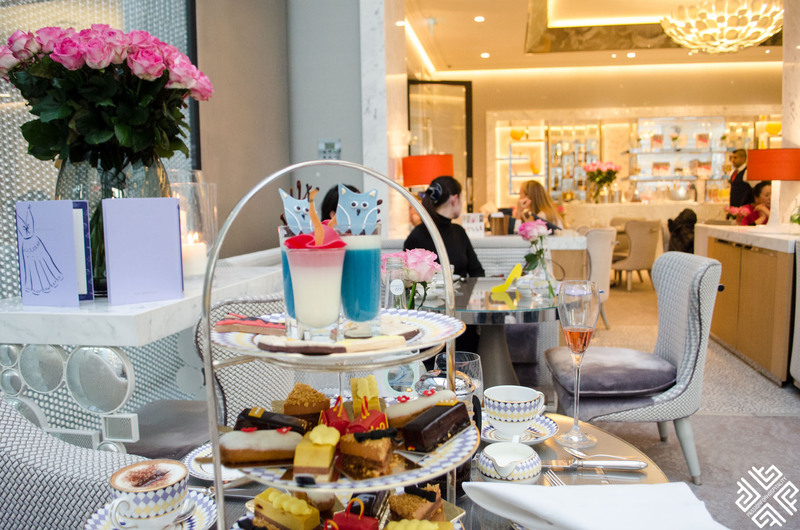 There are quite a few addresses and luxury hotels in London where you can experience this quintessential tea tradition, however there is only one hotel where you can enjoy a couture afternoon tea and that’s the Prêt-à-Portea at The Berkeley. 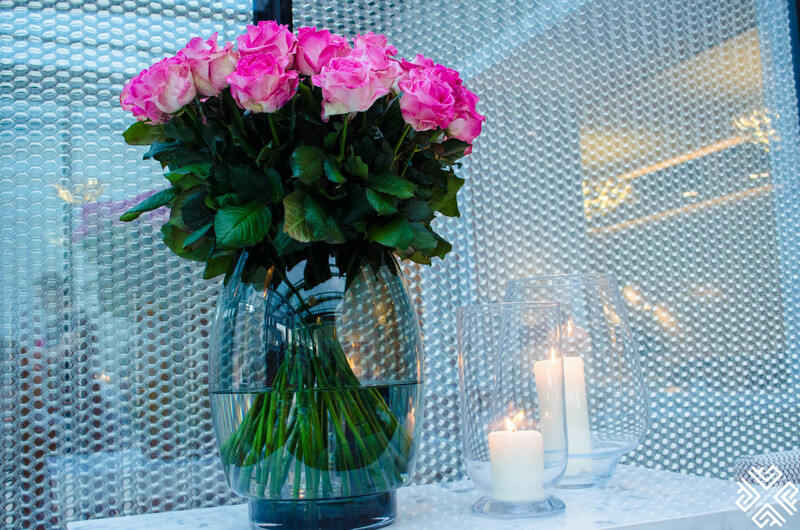 The Berkeley is a luxury and contemporary 5-star hotel in Knightsbridge. As we entered the elegant lobby we were escorted to the Collins Room named in tribute to the renowned designer David Collins. This sophisticated, light-filled dining room is located on the ground floor and welcomes guests throughout the day. 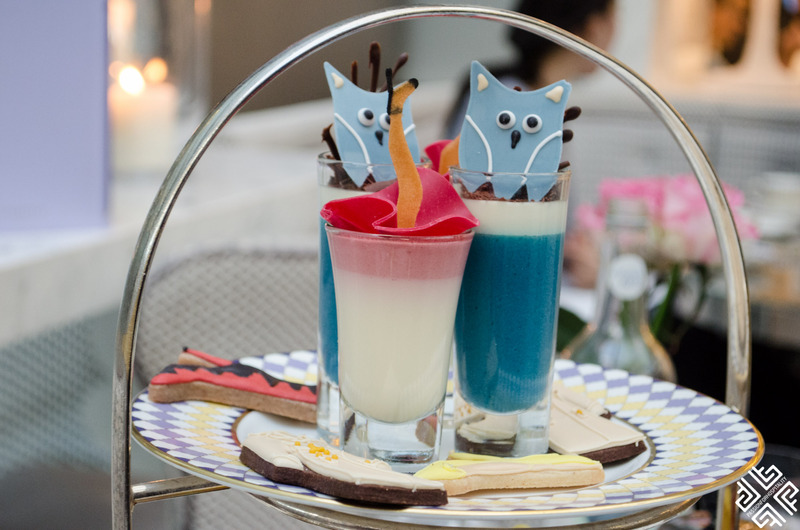 On the occasion of celebrating London’s fashionista tea 10th anniversary, the talented Pastry chef Mourad Khiat has chosen 10 of his favourite creations from the past 10 years. His AW 16/17 Collection is fabulous — a heaven for any fashionista. Here you get to bite and savour delicious couture creations like Dolce and Gabbana, Manolo Blahnik, Burberry, Jimmy Choo and many more. Inspired by the catwalk and couture, the menu changes every six months following the runway trends and collections. “Would you like to start with a glass of rosé Champagne ladies?” Our waitress asked. “Of course!” was the answer. 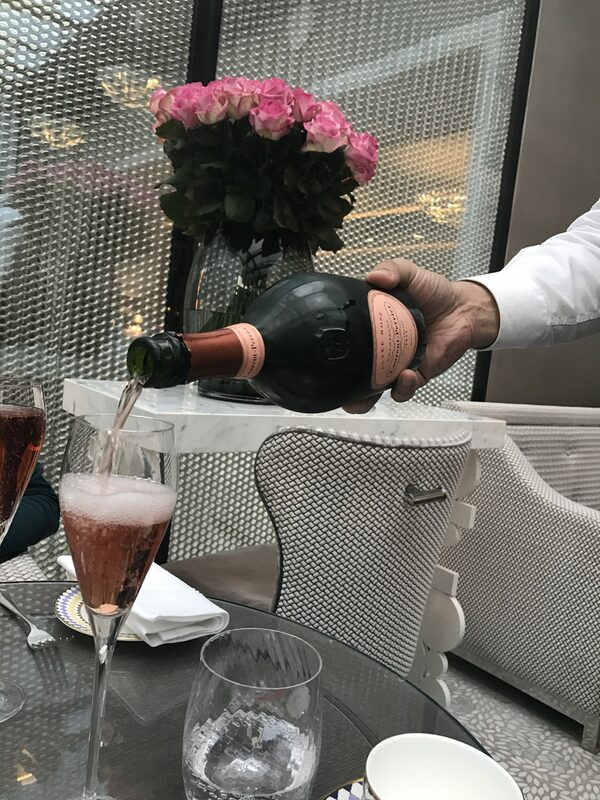 I can never resist a glass of fine bubbly and I’m particularly fond of Laurent-Perrier Rosé. 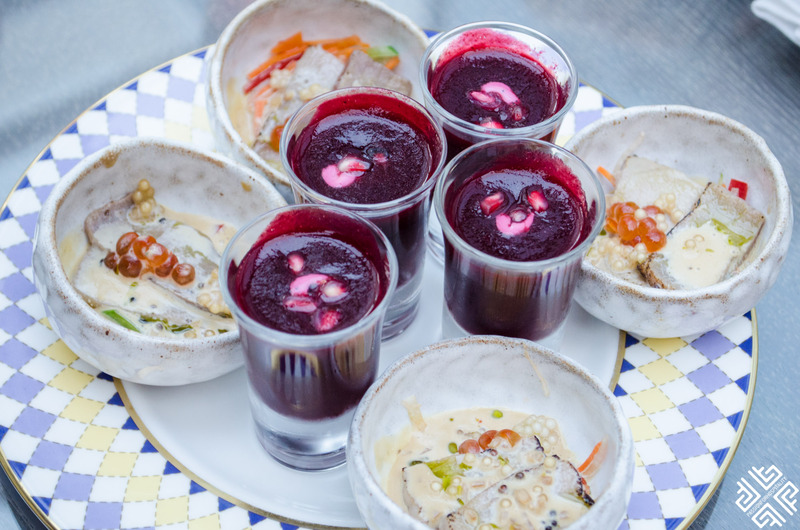 The mouthwatering savouries was only the beginning. We were then presented with a high tower platter full of fashionable sweet creations. Let me tell you what they were and get you on wanting to catch the next plane to London. 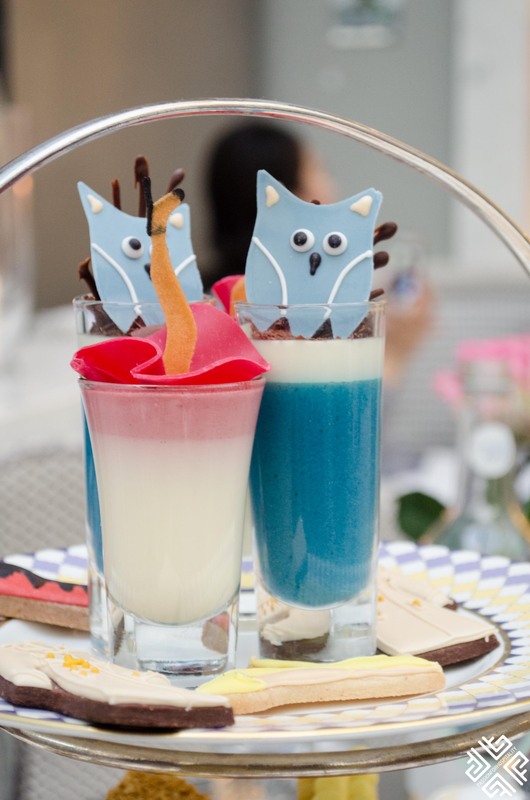 Dolce and Gabbana’s duo of blackcurrant bavarois and star anise pannacotta, topped with chocolate owl dress design. Jason Wu’s romantic cherry bavarois and coconut cream topped with playful pink skirt and biscuit heel. Manolo Blahnik’s Hangisi quintessential pointy toe stiletto ginger biscuit. Burberry’s classic trench coat chocolate biscuit with creamy royal icing. Charlotte Olympia’s dramatic cinnamon biscuit boot with black and red icing. Simone Rocha’s ethereal embroidered tulle dress vanilla éclair filled with salted caramel crème patissière. Nicholas Kirkwood’s pearl pump sachertorte layered with raspberry, chocolate ganache and Valrhona crémeux topped with delicate silver pearls. Jimmy Choo’s glittery gala pointed-toe shoe velvet praline cream cake with hazelnut croquant and sweetheart bow. Lanvin’s almond sponge, honeycomb and chocolate mousse draped with a light meringue ruffle. Moschino’s blood orange Victoria sponge ‘yellow M’ handbag encased in red chocolate. There is a great selection of teas which you can pair with the bakes and biscuits. My friends had tea and decaf cappuccino and I went for a filter coffee. If you do have a passion for baking and wish to try making these wonderful creations at home, The Berkeley has recently launched a book Prêt-à-Portea, High-Fashion Bakes & Biscuits with all the recipes and a step-by-step guide on how to make them at home. Or at least attempt to. 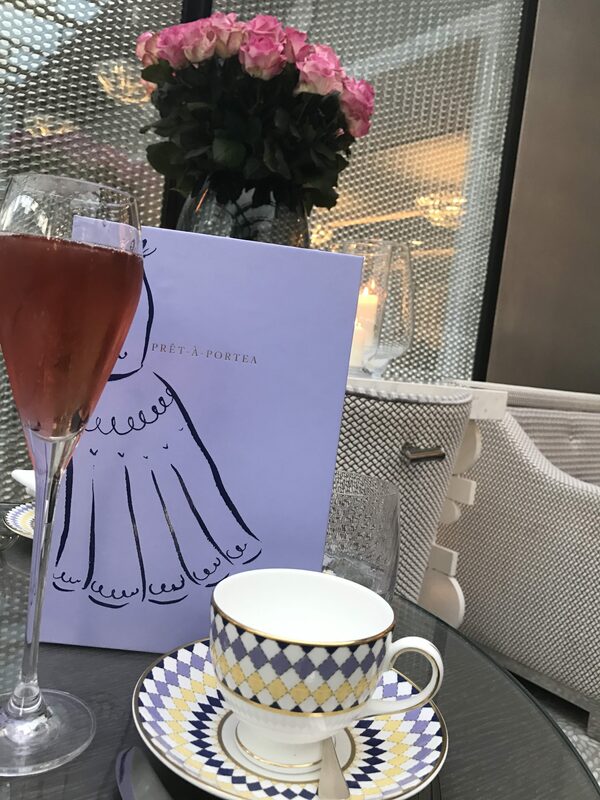 The Prêt-à-Portea at The Berkeley is great for any occasion, whether you are celebrating your birthday, want to spend some quality time with your friends or simply enjoy a relaxing break after your shopping spree. If you are planning to visit London for your Christmas holidays or at any other time of year, make sure to experience an afternoon tea at The Berkley. 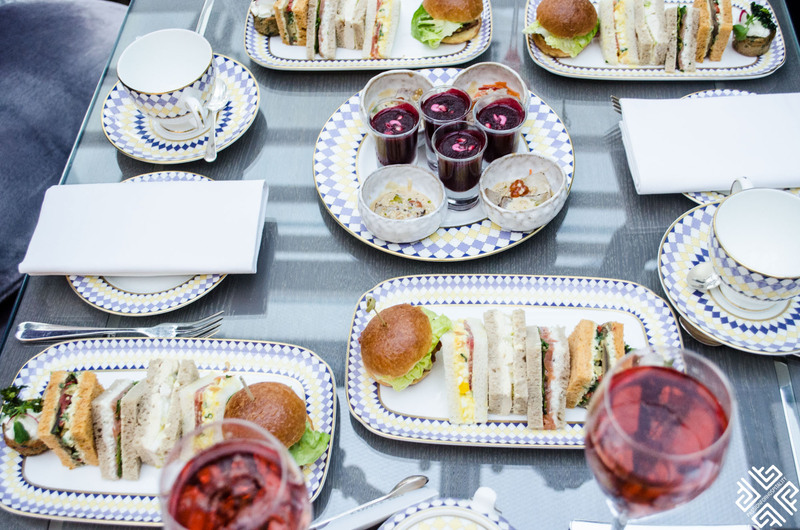 I have always wanted to have a proper afternoon tea in London, but never managed to during my previous visits. This was definitely a highlight of my trip. To book your tea experience you may visit the website. I was a guest at The Berkeley, all opinions expressed are my own. 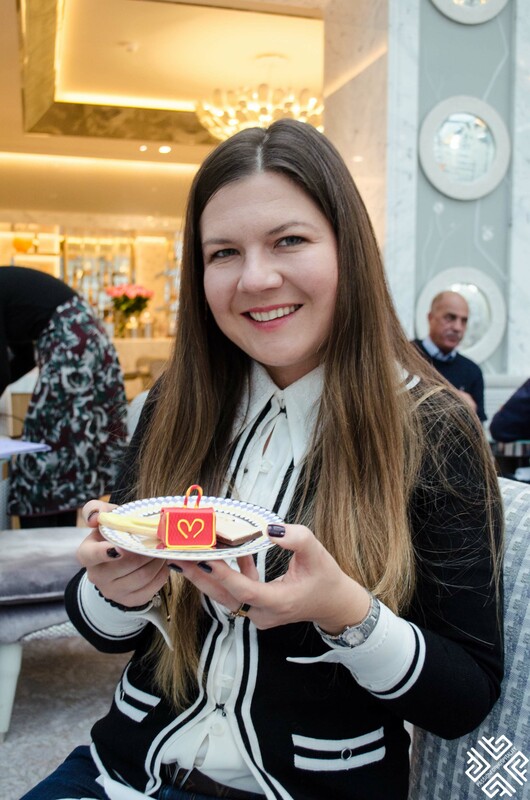 I LOVE afternoon tea and have had it worldwide at the most exquisite hotels (including London, which is undoubtedly the quintessential tea destination)… But a tea and fashionista combo?!? Now that’s on another level of goodness!!! It all looks absolutely divine, I can’t wait to try it when I’m back in London!